Image of the Top-loaded monopole antenna. The monopole is one of the most widely used antennas. In its simplest form, it consists of a quarter-wavelength wire driven with respect to a ground plane by a coaxial feed line. By adding a top loading, the height of the monopole can be reduced to less than an eighth of a wavelength at the operating frequency (about half the height of a standard monopole antenna). Electrically short antennas have been in use since the 1920's for long range radio communication at > 1km wavelengths. 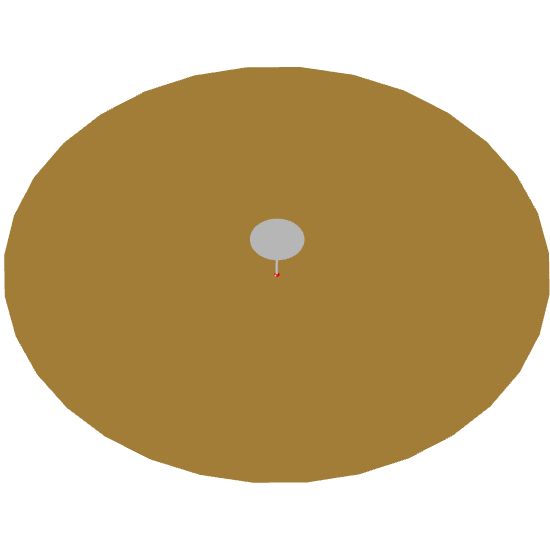 For this reason electrically small antennas were used to reduce their height to practical dimensions. Efficient electrically small antennas have very high Q's and therefore narrow impedance bandwidths (bandwidth = 1/Q). End or top-loading of an electrically short antenna lowers its Q and thus increases the bandwidth. This is illustrated in the next |S11| graph image comparing the Top loaded monopole with a Normal mode helix. Both designs are at 1GHz and 15 Ohms. 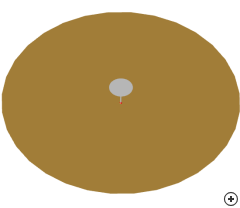 Although both these antennas are electrically small (with similar in physical dimensions) the Top loaded monopole has a much wider bandwidth and 4.7 dBi gain compared to 1.8 dBi of the helix. 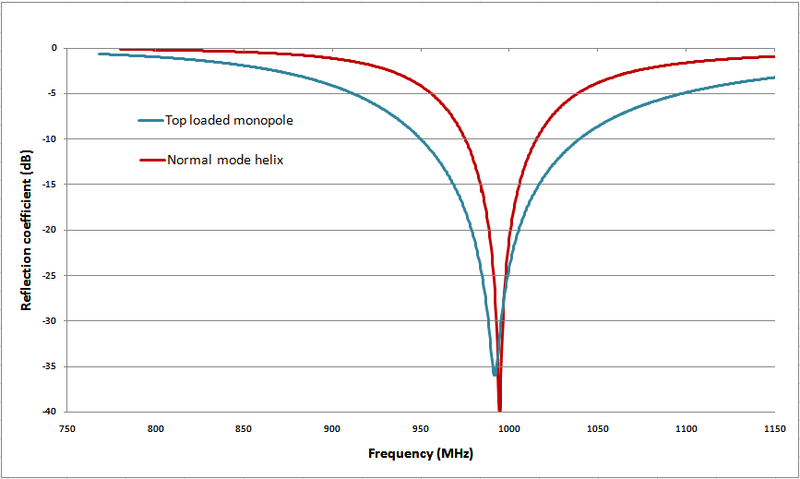 Comparison between the Q's of the Top loaded monopole and the Normal mode helix.